Tour to Ateshgah + Yanardag + Gobustan + mud volcanos from Baku private is a unique opportunity to get acquainted with ancient petroglyphs. 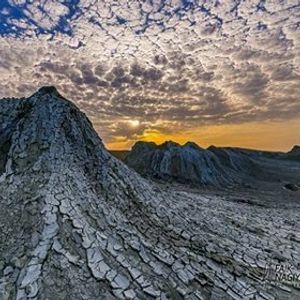 One of the most popular day trips from Baku takes visitors to the mud volcanoes and petroglyphs around Qobustan, 60km south of the capital. Meeting place is in front of Icheri-shekher metro station. This trip can be arranged any other day.